If you press shift+. or shift+, you get > and <. All keyboards are doing that wether they are Macs or Windows based machines. So why is Dell, at least Dell Middle East, is having a redundant print? 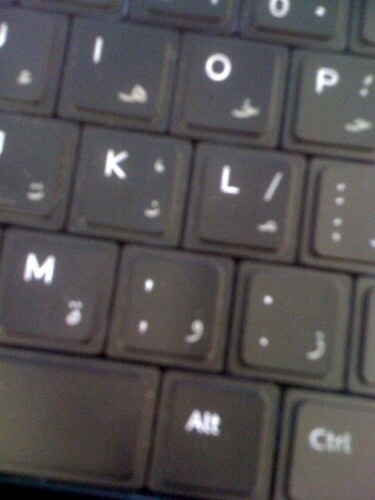 Picture was taken from a Dell XPS Studio 1640 sold in Riyadh, Saudi Arabia. And all other Dells have the same print. None Dell computers don’t have this annoying problem. I had to write the > and < on a family member’s brand new Dell XPS as a temporarily solution.